WASHINGTON/SEOUL (Yonhap) — Stephen Bosworth, a long-time Korea expert who served as U.S. ambassador to South Korea and as Washington’s special representative for North Korea policy, has died. He was 76. Bosworth died at his home in Boston on Sunday, according to Johns Hopkins University’s School of Advanced International Studies (SAIS). 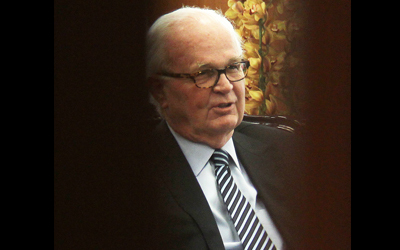 Bosworth had served as chairman of the U.S.-Korea Institute at SAIS until recently. SAIS did not give the exact cause of his death, but the former diplomat suffered from prostate cancer. 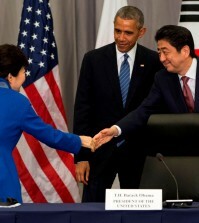 The South Korean government noted his contributions to the development of Seoul-Washington ties. “Our government highly values that he made a lot of efforts and contributions for the development of the South Korea-U.S. alliance and a resolution to the North Korean nuclear issue,” the Foreign Ministry’s spokesman Cho June-hyuck said at a press briefing. Foreign Minister Yun Byung-se has formally offered his condolences to Bosworth’s family, he added. Bosworth served as Washington’s top envoy to South Korea from 1997-2001 and special representative for North Korea policy from 2009-2011. He also served as executive director of the Korean Peninsula Energy Development Organization (KEDO) from 1995-1997. KEDO was set up to implement a 1994 deal with North Korea under which the communist nation promised to freeze and then ultimately dismantle its nuclear program in exchange for energy-producing light water reactors and other concessions from the U.S. and other partners. That deal later fell apart as the North was found to have run a clandestine uranium-enrichment program in violation of the agreement. Bosworth was considered pro-engagement toward the North. In an interview with Yonhap News Agency last March, Bosworth expressed concerns about the lack of dialogue with Pyongyang, stressing that there is nothing constraining the North’s nuclear development. “What is important is the fact that North Korea continues to develop nuclear weapons. They are unconstrained. At least in the past, when we’ve been talking to them they had not been conducting tests, and they had frozen the programs that we knew about, at least. 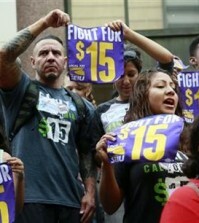 Now, they have no constraints at all,” Bosworth said at the time. “I think all the experts agree that in five years they could have many more nuclear weapons then they might have now. To deny that is to simply deny reality,” he said. In January last year, Bosworth also participated in “Track 2″ meetings with North Korea’s chief nuclear envoy and other diplomats in Singapore, together with former U.S. nuclear negotiator Joseph DeTrani and some American scholars. His other diplomatic assignments included ambassador to the Philippines from 1984-1987 and ambassador to Tunisia from 1979-1981. After retiring from foreign service, he also served as dean of The Fletcher School at Tufts University.